Usifu Jalloh is a highly experienced, talented award winning performer and educator who has been working in arts education for over 20 years. His roots in multicultural Sierra Leone, and his long standing and close association with artists and audiences from a wide range of cultures, have lead him to develop a storytelling style which encompasses international languages, music, dance and story themes. He was born in Kamakwie in the Bombali District of northern Sierra Leone. Usifu has a passion for motivating young people to educate themselves within the context of their culture. 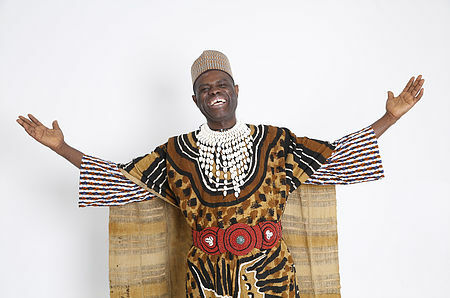 Along with Storytelling and music, he has established Maambena Fest through the Aruna Jalloh Foundation as one of the vehicles he uses to accomplish this laudable goal. Vergine Gulbenkian was drawn to performance storytelling as a direct and essential form of communication in 1991, after studying drama. Her interest led her to research the rich Armenian oral tradition- co-producing a documentary video with Richard Eayrs about the ashugh (epic singer) tradition in Armenia. The shows she creates are based on traditional tales and epics and she performs them in venues that have included the South Bank centre, the Battersea Arts Centre, the British Museum, the Barbican Pit and the Soho Theatre. She has received commissions from Festival at the Edge and Beyond the Border Storytelling festivals. 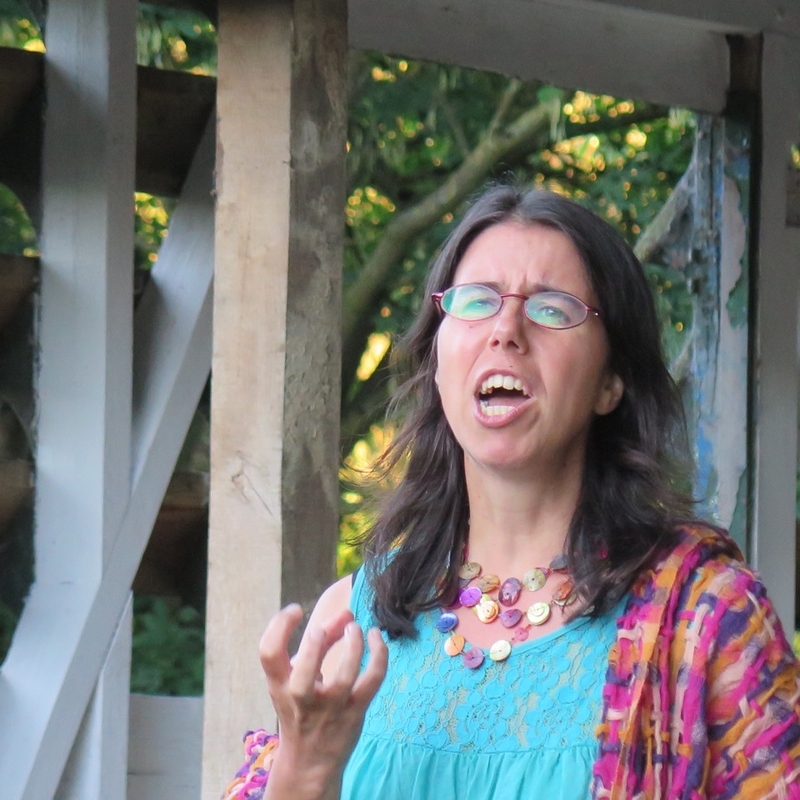 Vergine was ‘Storyteller in Residence’ for a project called Storytelling across cultures, bringing traditional tales to schools and community centres in Oxfordshire. 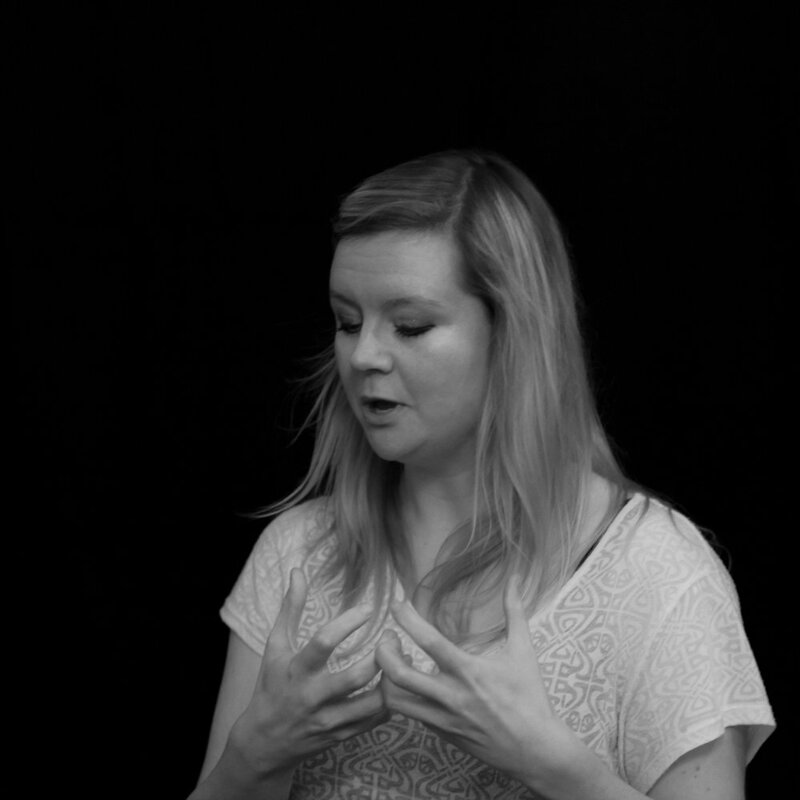 Rebecca is a storyteller who works with rites of passage, and is inspired by taking myths into nature. She has an ear for unearthing the untold stories that need to be shared, and is a deep listener as well as being a compelling and dynamic teller. Rebecca continually draws inspiration from the diverse stories encountered in her group work in settings ranging from NHS mental health wards, to businesses, retreats, and the forest – where she works with women and myth. As a performer Rebecca has a background in theatre, improvisation and poetry, and has been seen at Cheltenham Literary Festival and BAC for Apples and Snakes; the Barbican & BOV; storytelling performances for festivals and theatres in collaboration with musicians, and heard in a wide variety of stories, plays and poetry for Radio 4. Fiona is a Bristol based professional musician who trained classically and after touring Australia with a symphony orchestra defected to the other side, following a love of traditional music and playing on the west coast of Ireland for several years. She has worked in theatre, including Kneehigh tours, the Globe and Broadway as well as contemporary dance. Fiona has worked extensively composing and performing for storytelling shows. Fiona and Rebecca Smart work together creating storytelling shows and weaving music and story for retreats, and will be bringing ‘Baba Yaga’s Oven’ to this festival. Joanna Hruby is an artist, sculptor and theatre-maker interested in animating the mythical imagination. She has created puppetry commissions for diverse events ranging from immersive theatre to outdoor festivals, and in 2012 she was the lead artist for the Westcountry Storytelling Festival, where she built a set of giant ceremonial puppets representing the green man and a corn dolly. Joanna now lives on Ibiza where she has founded Theatre of the Ancients, a visual storytelling company reviving the Phoenician mythology and ancient folklore of the island. Joanna will be joining us at the Oxford Storytelling Festival to create a set of giant dragons which will ceremonially perform to represent the two ley lines of fire and water, Michael and Mary, which intersect at this special site. Brighton-based Abbie is a passionate performer of myths, folktales and folksongs, particularly those from the snow capped mountains of the north. Abbie enjoys exploring the liminal spaces where myth becomes modern, and tales of warrior goddesses, trickster ravens and troubled Kings from long, long ago find renewed truth in the present moment. She also just really, really loves stories! Dawn has been a storyteller in one way or another most of her life – as an actor, broadcaster, writer and performer. She has a penchant for ancient myths and wonder tales from all over the world, especially the ones that put down roots inside us, and add spice and meaning to our lives. Every summer she tells tales under the stars on a Greek island, and the rest of the year performs in clubs, festivals and private celebrations. Recently she has performed at Pentameters Theatre, Hampstead, Bread and Roses, Clapham and in Battersea for the Wandsworth Arts Festival. She studied Myth with Dr Martin Shaw, Storytelling with Nell Phoenix and at the International School of Storytelling. She created ‘The Call of the Wild Twin’ workshops and also teaches Storytelling in organisations – with a mission to share storytelling skills with people who can make a difference. Emma Hockley is an Artist, Art Educator and Illustrator working between London and her studio in Oxford. Her work fuses elements from religious traditions, personal photographs, found media and her immediate surroundings; appropriating styles and influences from both her formal art education as well as her many travels. Working intuitively with an emphasis on texture and atmosphere her images illuminate ideas beyond the physical realm. Combining her external environment and her internal landscape of emotions in spontaneous imagery the works are often rooted in reality and yet metaphorical and surreal. 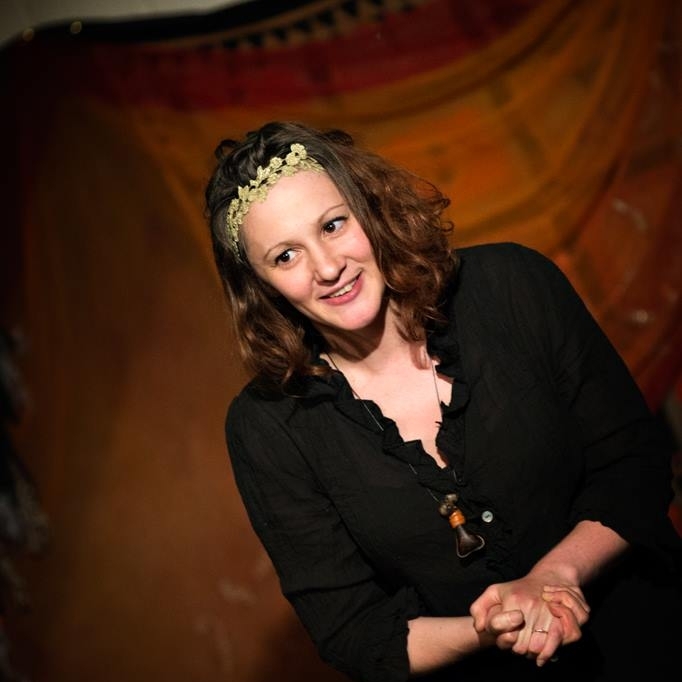 She has run workshops across the country and will be artist in residence at this years Oxford Storytelling Festival, wandering, drawing and encouraging others to do the same. Storyteller and writer Tom Hirons and internationally-respected artist Rima Staines are Hedgespoken, a travelling off-grid storytelling theatre run from a 1966 Bedford RL lorry, converted to be a home and a go-anywhere stage. Tom and Rima travel the high-roads and byroads of southern Britain in the Hedgespoken wagon with their young son, telling tales and sparking imaginations wherever they can, from busy festivals to quiet lay-bys and secluded forests. With a devoted and ever-growing following, Hedgespoken specialise in retelling traditional British and European folktales and stories from the wide world of the various communities of travelling folk. Tom and Rima also run Hedgespoken Press, a fledgling small press producing art-prints and pocket-sized books of wonder and fascination. At the Oxford Storytelling Festival, Tom and Rima will be without their lorry, but with a suitcase full of stories, art and music. Sue Charman has worked as a storyteller, theatre director, writer, coach, trainer, facilitator, event and festival organiser and many other guises. She co-founded the Wood Sisters modern mystery school and, in 2012, organised the community build of the Red Alachigh, inspired by a story she wove from Anita Diamant's best-selling book The Red Tent. 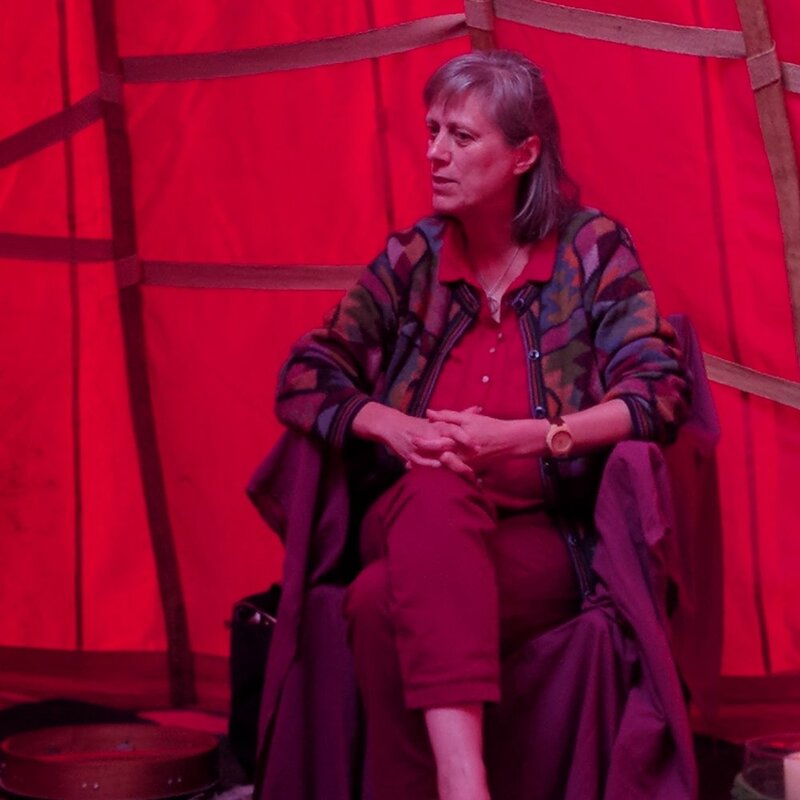 Sue is one of the council of women who hold the tent, maintaining, touring and performing under her red skirts…..at the Oxford Storytelling Festival she will be holding morning meditations, quiet sacred space, craft workshops and perhaps telling the odd story or poem by candlelight. She lives in Devon in a self-built eco-house with her family. Lisa Schneidau is a storyteller and conservationist working in Devon. She specialises in stories about nature and our relationship with the land, and her book ‘Botanical Folk Tales of Britain and Ireland’ has been recently published by the History Press. Lisa helps to lead two story circles, one in Totnes and one in Chagford, and can be found telling stories at nature reserves, schools, charity events and venues all over the South West. She will be telling her new story piece, ‘Tangle of the Commons,’ at the Oxford Storytelling Festival. Lisa helped to build the Red Alachigh and she is a member of the Red Alachigh Council. Find out more about Lisa’s work Here. Heather is a fledgling storyteller, lover of tales (and tails), animals, the natural world and magical Otherworlds. One of her key life skills is seeing the animals in people, and the people in animals, and finding both the underbelly and the mischief in life. A wild woman in training; she loves exploring different lands, meeting other humans, crashing about, listening to the beasts, narrating the world around us and laughing. After a long dalliance with stories, Heather got on with it in earnest in 2017 after working in South Sudan and realising stories are the heart language which can carry the hope of change. 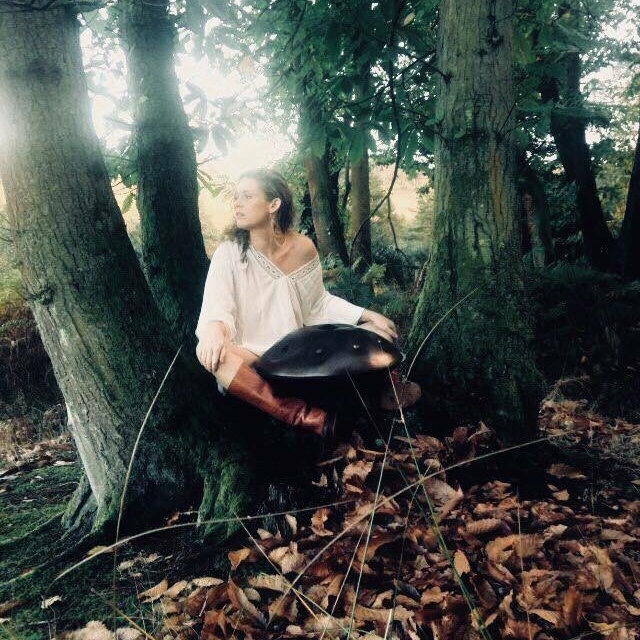 She studied at the International School of Storytelling and has performed at a string of festivals with WetheUncivilised, at story nights in Bristol, and recently was commissioned by an artist to create a story for community tree planting events in Exeter. Her current areas of focus and interest include exploring our murky history and how that influences societies today, exploring connection with nature as a pathway to belonging, and seeking the old feminine wisdom in stories hidden beneath their patriarchal overcoats. Kerima is a storyteller, teacher and environmental and human rights activist. Part Sri Lankan, and part English, she has made her home in London for the time being. She has worked with schools and NGOs to create materials to raise awareness and stimulate discussion about colonialism, racism, impacts of mining and women`s rights. Her favourite stories are those which bear witness to and honour the courage of those who resist oppression and work to bring about change; stories to raise our spirits and remind us that another world is possible. Kerima trained as a storyteller at the International School of Storytelling where she created “If the trees could speak” under the direction of Roi Gal Or, one of the lead lecturers on their flagship three month storytelling course. She has performed this a number of times at including alongside speakers on human rights and environmental justice at Amnesty International UK and School of Oriental and African Studies. In her spare time she does a little storytelling with the Brixton Storytellers. 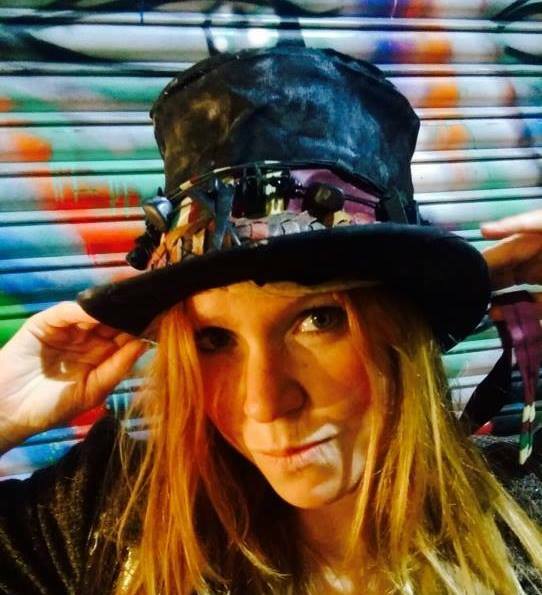 Sarah Liisa Wilkinson is an English-Finnish storyteller, who delights audiences with her always engaging, energetic and playful performance style. She has a particular interest in the folktales and myths of Finland and other northern lands, but loves to tell tales from all around the world. She has trained as a performer with Philippe Gaulier, and as a storyteller with Nell Phoenix and Ben Haggarty. She has told stories to audiences in clubs, pubs, festivals, churches, front rooms and all-night sleepovers. She is a regular performer with the Embers Collective, a storytelling and music group in London. Azul-Valérie Thomé is an artist, an activator and tender of soulful visions, a sacred activist, a mentor, a circle holder&trainer whose creations are infused with rituals informed by Mother Earth for the thriving of all Life. She feels blessed to be the mother of a strong and dedicated young man. Her latest venture is SOULand: Making the World of our Longing one Maturing Soul at a Time...of Great mutation. A Sanctuary and School programme for the human Soul to learn its language again and mature towards eldership. Azul has already started sharing her full basket of wisdom teachings: eARTh, Grief Composting Circles, WomBelt, Black Tent Council, One on One mentoring, Returning to Earth What was Stolen, Life Cairnwhile following messages she keeps receiving from the Water. 'I look forward to a deep and wild conversation with you all in the company of Grief, Love, Death and Life as if being gifted our Wild and Precious Life truly Mattered. Tracy Chipman is a storyteller, educator, and yogi based in Wisconsin, US. She stepped onto the storytelling path over 20 years ago under an Oregon hazel tree and has never looked back. Her storytelling work spans the arc from the cradle to the grave weaving myth, lore, and the ore of narrative as an act of co-creation with her audiences. Through story, Tracy awakens and re-connects listeners with themselves, their ancestral lineage, one another, this sacred planet – home and the numinous places in between. Sharing the breadth and depth of storytelling as a connective and transforming experience is her life's passion. Tracy brings this transformative power of storytelling to all her audiences through performance, 1:1 healing work, workshops, and as a yoga instructor. She is the founder of the Hebridean Folklore Project where, from 1996 – 2004, she recorded over 40 Gaelic speaking elders from Outer Hebrides of Scotland. The archive of this collection will soon be available in the Digital Archive of Scottish Gaelic (DASG) through the University of Glasgow. Adele Moss has pursued her passion for storytelling in many settings over the last 20 years. Her work in children's hospitals, supported by the charity Read for Good, has taken her storytelling to quite a different place, as stories that are infinitely transformable grow out of her encounters with extraordinary children. Although her range of material is broad and multicultural, she has grown up constantly engaged in the Jewish tradition of text, commentary, legend and folklore, which she frequently visits with a contemporary and personal vision. She has an interfaith storytelling partnership with Muslim performer, Jumana Moon. They have crafted shows from their encounter with their different religious source material and their dialogue with each other. They have performed Woven Threads and Torn Fabric, based on the story of Joseph, at several venues, including St Ethelburga's Centre for Peace in London and recently at the Ashmolean Museum, Oxford. He has been at various times a graduate in English, a second-hand bookseller, an oral historian and playwright. He was storyteller in residence at Beaford Arts Centre, has been telling full time since 1988, and has won the dubious Hodja Cup for Lying. His book of Devonshire Folktales published in 2010 reflects his love of rural Devon where he and his wife Wendy have lived since 1977. Jackie Singer has always had one foot in the world of the arts and one foot in the world of healing. Her storytelling reaches into the space where transformation can occur, as much as her healing engages the imagination through story. Storytelling shows for adults include Marigolds and Ashes, a two-woman piece with Liz Rothschild, conceived as part of the Kicking the Bucket Festival of Living and Dying. Jackie also performs with the contemporary folk band Kismet, described by Oxford Folk Festival director as ‘Balm for the Soul’. 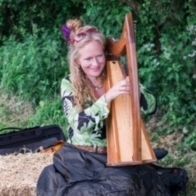 Over a period of twenty years, Jackie has performed as a storyteller and musician at venues from Buddhafield Festival to the University of Oxford. She makes regular appearances at The Story Museum. Her personal passion is to tell the stories that bring alive the land, the cycle of seasons, and the forgotten wisdom of the Sacred Feminine.